Howdy! Thanksgiving is knocking at the door… Soon, many of us will be preparing starters, turkeys, side dishes, and desserts… and of course, welcoming family and friends into our homes from different parts of the country, right? 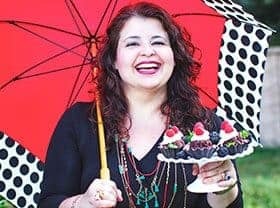 Well, it is always great to have in hand a few simple recipes that allow us to spend more time preparing the main dish. 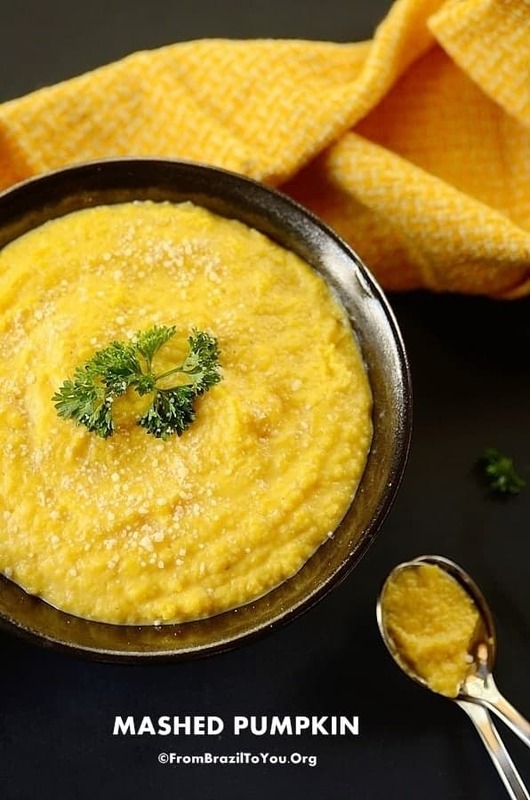 Our savory Mashed Pumpkin or Purê de Abóbora, a gluten-free side dish, is so simple that all that you have to do is cook the pumpkin and then blend it in a blender with a few other ingredients. Easy peasy! This mashed pumpkin, as well as our famous mashed sweet potatoes, are hassle-free yet comforting alternatives for your holiday table. They are more nutritious than mashed potatoes, too. I hope that you try both of them this year! This mashed pumpkin is also an excellent way to introduce pumpkin to your little ones… much, much better than pumpkin purée from a jar or can. Of course, this dish is not just good for Thanksgiving only! You can make mashed pumpkin whenever pumpkins are in season. I sure do! An easy side dish that can be served as an alternative for mashed potatoes. It is also a great way to introduce pumpkin to children. You can peel and cook pumpkin ahead of time-- learn how by clicking on link above. In a blender, blend warm, cooked pumpkin with melted butter, heavy cream or yogurt, salt, and pepper until smooth. NOTE: You can also use a ricer to process the pumpkin or mash it, following the same preparation as for mashed potatoes. Mashed pumpkin can be prepared up to 2 days ahead and refrigerated. Right before serving, heat mixture thoroughly in a medium, non-stick saucepan, stirring often, over medium-low heat. You may or may not need a little touch of yogurt or heavy cream to soften. Place on a serving plate or bowl and sprinkle Parmesan cheese on top, if desired. You can mix in or garnish with fresh parsley. The festive orange of the Mashed Pumpkin is just irresistible! A splendid Thanksgiving side! Thanks so much, my dear Deb! Wishing you and your family a very Happy Thanksgiving. I am so sorry that pumpkin is expensive down there in Peru, Nydia. Maybe you can try this next October! 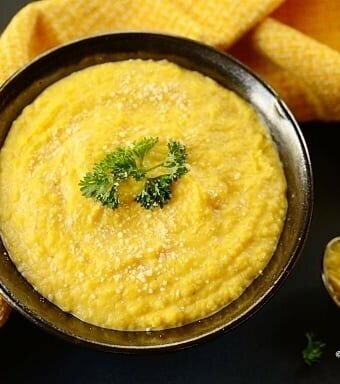 If not, you can use this recipe to make both mashed sweet potatoes and also mashed potatoes (you guys have a great variety of potatoes in peru that most people don’t even know that exist). 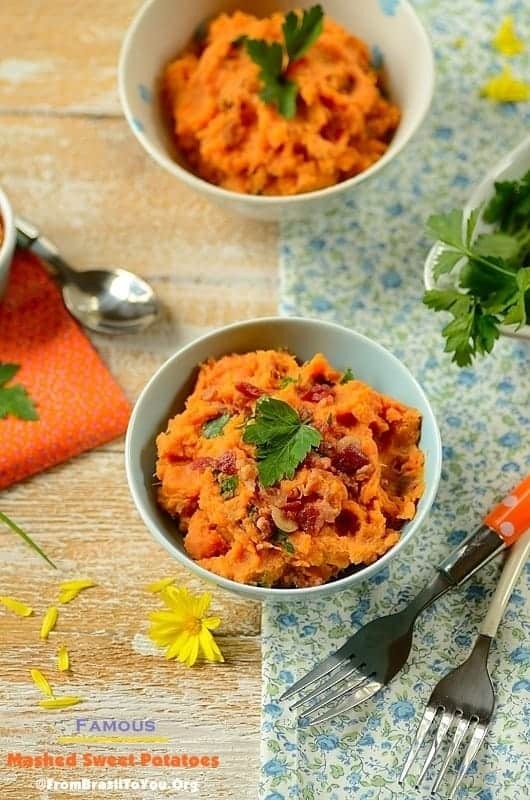 Denise, this mashed pumpkin is sure a great addition to Thanksgiving table…looks delicious! The pleasure is mine, Rekha! Karen: This is a great alternative for those who do not enjoy mashed potatoes. My husband and children are not a fan. Very nice colour and texture! Happy thanksgiving, Denise!!! Thank you both Julie and Alesah! Wishing you a very Happy Thanksgiving as well. Thanks, Francesca! This is the idea. This would be especially great in a risotto.